Today we are going, once again, to reiterate a few things that have become fairly common knowledge in your world over the last fifty years or so. And then we will apply this in a way that many of you have not quite realized yet. The knowledge is there. But as we suggest in the title, what does it mean? As you look around you, it is no longer much of a stretch for your imaginations to see that all you see is made up of molecules. It is not at all taxing for you to make the jump from there to seeing it all as collections of atoms. And it is almost automatic for most of you to understand from that, that these contain sub-atomic particles. Now that you are thinking in this manner, telling you that these can be correctly understood as waves of energy instead of particles would likely result in your thinking ‘Of course!” Not so long ago this was crazy talk. So now, look around and see, realize, that everything you see, including yourself, is one big field of energy. Do you realize also that a field of energy is a field of information? So here you sit in a field of information and energy, and as part of the field yourself. Now this energy is vibrating at many frequencies. And these frequencies are reaching every part of the field, even the parts of the field that your mind is calling ‘me’. Now here is a frequency that is in the range that humans interpret as sound. Here is another that you interpret as color. Another reaches you as touch. What are you unconsciously doing here? We want you to understand that you are assembling a reality, or what you interpret as a reality. It will be very close to what others around you see, as well. But it will not be exactly like anyone else’s reality. Why is that? And what else might you know about it? The ‘why’ is that you are interpreting it unconsciously most of the time, and what you get is most often based upon past experiences, beliefs, etc. And not all of those are even your own. You have inherited many. You have been taught many. You have agreed with many others, either thoughtfully or through neglect to reason them out. But here is the point of the exercise: You are, in fact, co-creating everything that you see. It is neither your complete fault nor are you completely due all the kudos. But what you see is your interpretation. And your reaction is more important than what you are reacting to. And your awakening, dear friends, is your blossoming ability to understand this and to take control of it. If you are assembling this reality many thousands of times per moment, and we tell you that you are, and if you are becoming more and more conscious of it, then you can learn to assemble it as you desire it to be. And that is a true awakening. That is the basis of what you call manifestation. You manifest all the time. You always have and you always will. But are you doing it consciously? 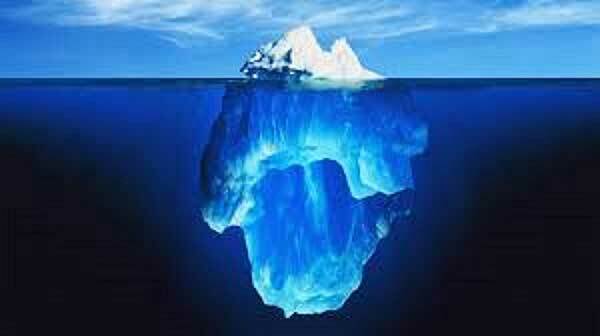 Do you know what lies just under the surface of your conscious thought? Do you see how important it is for you to know that? Now, does all of the emphasis on knowing yourself begin to come a bit more into focus? Because all that you hold in your subconscious is just as much responsible for what you are getting as what you are aware of. And if you are aware of the 80/20 rule, you may see that 20/80 would be a lot better than 80/20. In other words, you will likely want to strive for a great deal more awareness than unawareness. You will want to shed beliefs that are not grounded in truth. You will want to dismiss ungrounded fears. You will want to correct your interpretations to the greatest extent possible. You will desire for your creation of your world to be as close to your conscious desire as it is possible to get. Is that not so? Of course it is. We hope this discourse will be helpful to as many of you as possible. Ask, and we will work with you to achieve just that. That is why we are called guides and teachers, so please avail yourselves of the offered help. Blessings and love to you. We will speak again.